‘NIA’ Court revokes MCOCA charges in the Malegaon blast case, against Colonel Purohit along with eight others . 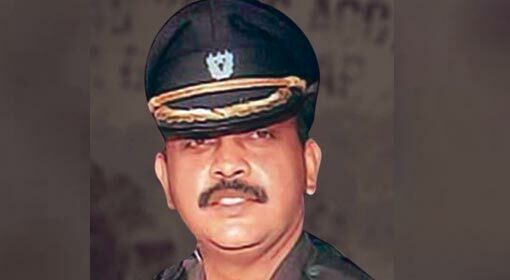 Mumbai: The ‘NIA’ special court on Wednesday, revoked MCOCA charges, in the Malegaon blast case against Lieutenant Colonel Shrikant Purohit of the Indian Army, Pragya Thakur and eight others. Likewise three others have been cleared of all the charges in this matter. However, Colonel Purohit and seven others will now be tried under the Unlawful Activities Prevention Act (UAPA) and Arms Prevention Law. The ‘National Investigation Agency’ (NIA), this year in April had mentioned that there is no substantial evidence against Pragya Thakur. Later she was granted bail. However, in the case of Colonel Purohit, the ‘NIA’ had taken a different view and had opposed his bail plea. Harish Salve, Purohit’s lawyer, however, had drawn the attention of the court to the contradictions existing in the two charge sheets submitted by the investigative agency. After that in the month of August, the Court had granted bail to Purohit, and Purohit has been released on bail after exactly nine years. Later Purohit, Pragya Thakur and the other six accused, had pleaded to be absolved of the charges of bomb blast. After a hearing in the matter in the special ‘NIA’ court in Mumbai on Wednesday, Shyam Sahu, Shiv Narayan Kalsangra and Pravin Takalki were released of all the charges and set free. However the pleas of Colonel Purohit, Pragya Thakur, Sudhakar Dwivedi, Ramesh Upadhyay, Samir Kulkarni, Sudhakar Chaturvedi and Ajay Rahirkar were rejected by the Court. The Court however, gave relief to all and released them of the charges of ‘Maharashtra Control of Organised Crime Act’ (MCOCA). All of them will now be tried under sections 16, 18 of ‘UAPA’ and sections 302 and 307 of the Indian Penal Code on the charges of murder and attempt to murder. Apart from this, Jagdish Mhatre and Rakesh Dhadve would be tried only under the Arms Prevention Law. The next hearing in this matter is scheduled for the 15th January.